For one driver, rumors of his series demise proved as motivational as his pre-race quote was prescient. Forty two year old Helio Castro-Neves won his thirtieth IndyCar race Sunday at Iowa Speedway after being asked by Robin Miller if his remarkable twenty year career were coming to a close. “We just gotta make sure we not only win this race, but win the championship,” Helio answered with characteristic panache. It proved predictive, at least partially. J.R. Hildebrand matched his best career finish in second, recovering strongly from a Saturday practice crash for Ed Carpenter. Three time Iowa winner Ryan Hunter-Reay advanced a dozen spots to steal a podium for formerly dominant Andretti Autosport. Pole sitter Will Power and Graham Rahal, who disparaged other drivers’ “courtesy” as being “awful” afterward, rounded out the top five. 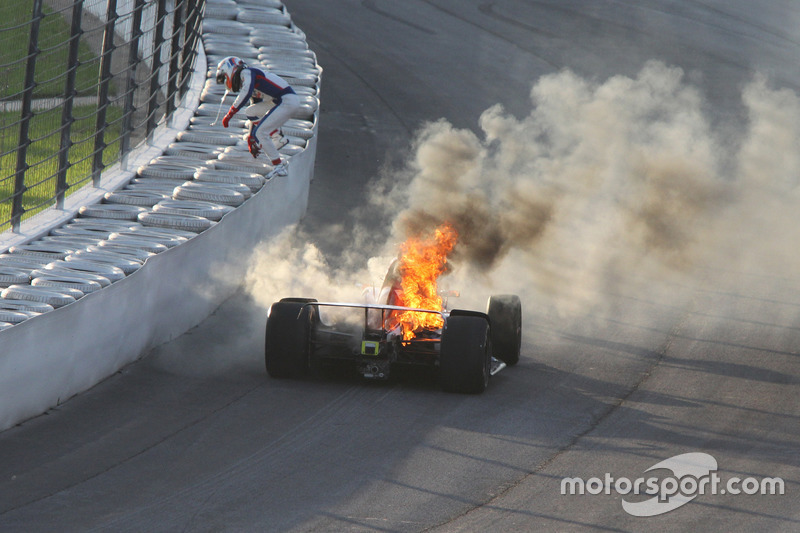 Seems to us IndyCar’s iron fist of justice has turned a bit well, limp lately. The faceless, mysterious and secretive force known only as “race control” has obviously changed direction this season, taking a delayed approach to penalty enforcement – if bothering at all. Remember black flags? Drive through penalties? Disqualifications? As we all learned in government class and more recently in Ferguson, Baltimore and movie theaters everywhere, lax enforcement leads to disregard of the rules, which in turn leads to chaos. 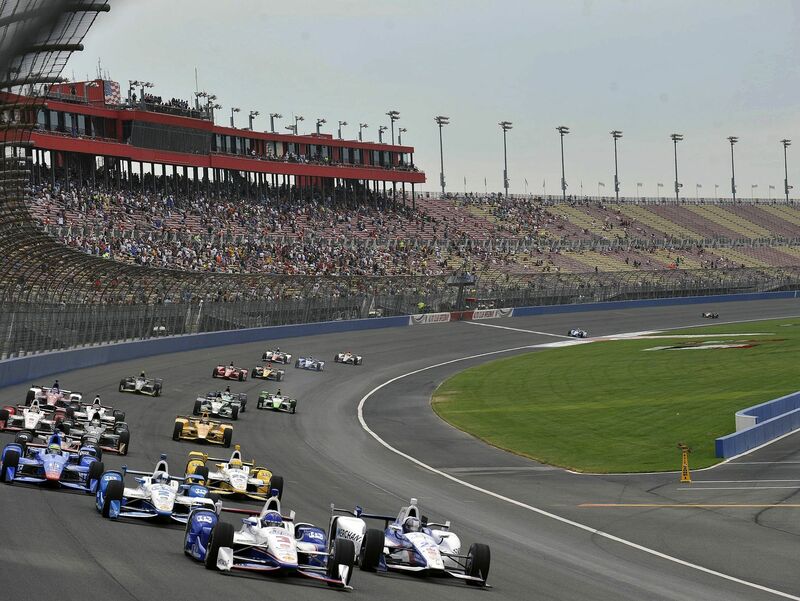 IndyCar’s chaotic enough without adopting Russian mob rules. 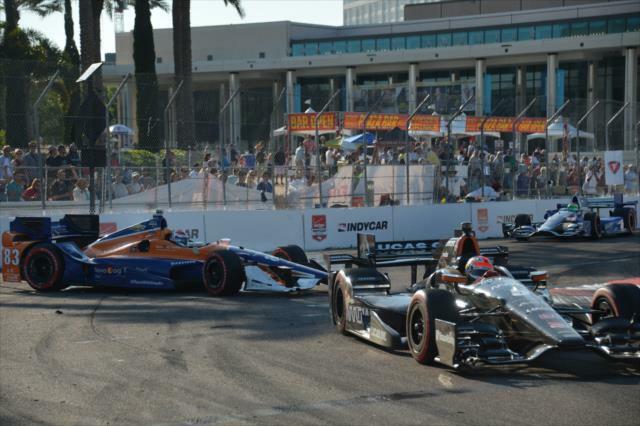 In taking a wait and see approach to penalties, IndyCar is bucking the long standing tradition of penalizing drivers for infractions during the race in which they committed them so as to affect the offending drivers’ outcomes. IndyCar has three stewards and new, supposedly state of the art video equipment, so why not use them? Instant assessment of penalties not only discourages bad behavior and rule breaking – both of which are occurring this season – but also eliminates the speculation, whining and questioning that inevitably lingers long after the incidents themselves. Seen Twitter lately? After all, when it comes to officiating it’s an issue of basic fairness. 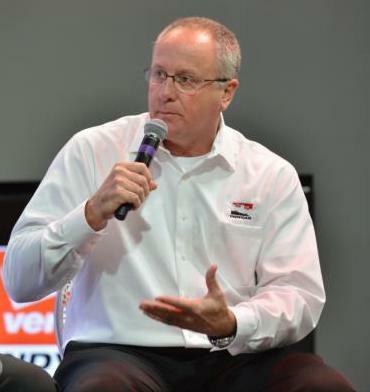 IRR’s latest encounter with IndyCar media super star Jon Beekhuis occurred once again very late at night and was accompanied by shock and exhilaration. By late night encounter with the professor of speed we mean of course an exchange on Twitter. Turns out not only is Mr. Beekhuis a night owl, he’s also quite conscientious and prompt in responding to our queries. 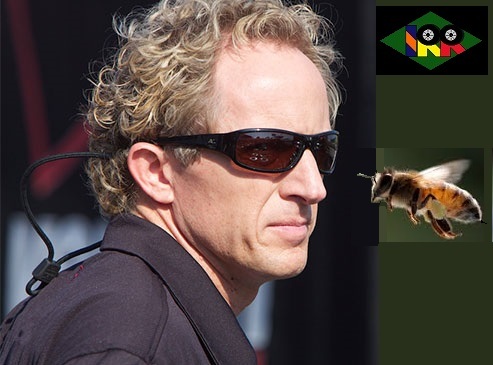 We discovered this about Beekhuis a couple of weeks ago when sending him a flyer of a Tweet about a story the IndyCar press seem to have missed. 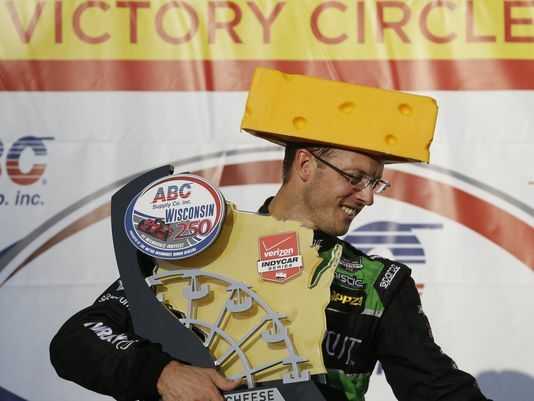 While Jon would be on both television networks covering the races this year from the pits, he would no longer be a race steward as he confirmed to us in a somewhat confusing exchange on Twitter.